In the event of an emergency during our normal opening hours please call our surgery on 01227 765522 and you will be advised what to do next. Always call us first when bringing your pet as an emergency. This allows us to plan for it and possibly reorganise things to have someone available to see you straight away. If your call is during the night or at the weekend whilst our clinic is closed, please call the emergency service number 01227 470033, and your call will automatically be transferred. We host the emergency service for the practices of Canterbury and surrounding areas. Vets Now is the emergency provider who operates from our premises at night and weekend. They are a dedicated emergency service with full-time night staff who will be alert and effective even at unsociable hours. 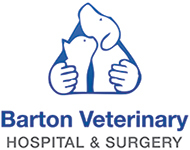 Their qualified vets and nurses have a special interest, experience and training in all aspects of urgent and critical care. Their support allows our vets to be fully refreshed for the day shift and your pet to receive the best care 24/7. For directions please visit the Vets Now Canterbury website.